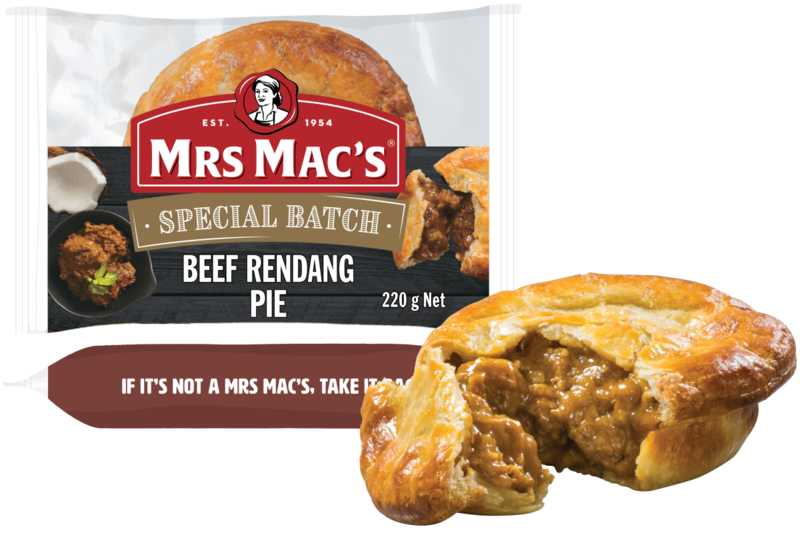 An authentic Malaysian beef rendang sauce, with a hint of chilli, wrapped in our gourmet pastry. 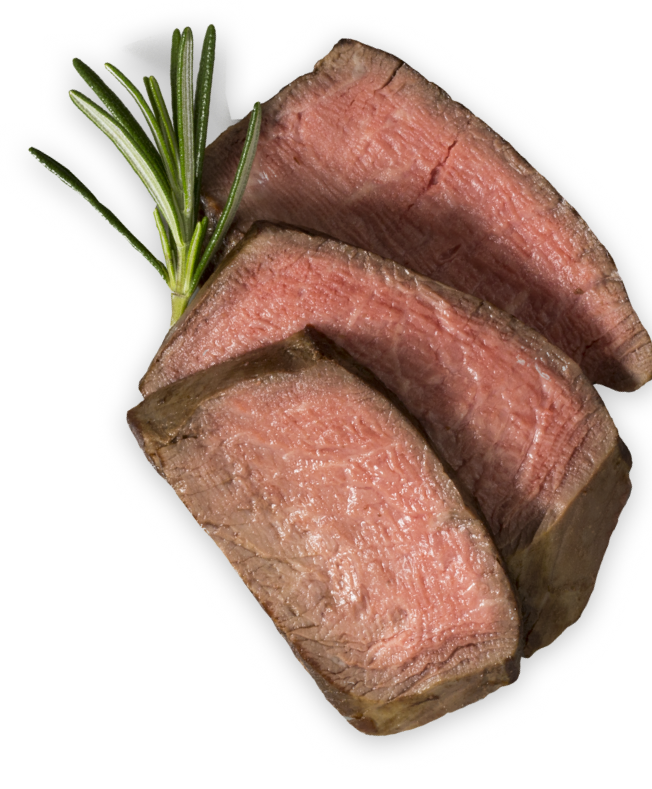 Steak (Minimum 25%), Wheat Flour, Water, Rendang Sauce (11%) [Onion, Water, Vegetable Oil, Desiccated Coconut, Coconut Milk Powder (Milk), Herbs & Spices, Sugar, Tamarind Paste, Onion Powder, Salt, Preservative (221), Acidity Regulator (330)], Margarine [Vegetable Oil and/or Animal Fat, Water, Salt, Emulsifiers (471, 472c and/or Soybean Lecithin), Antioxidants (304 and/or 320), Natural Flavour and/or Flavour, Natural Colour (160a)], Onion, Thickener (1422), Coconut Milk Powder [Milk], Flavours [Milk, Colour (160c)], Salt, Breadcrumbs [Wheat], Spice, Glaze [Milk, Natural Colour (160a)]. OVEN (Recommend cook in wrap): Preheat conventional oven to 190 °C (375 °F) or fan forced oven to 170 °C (340 °F). If Defrosted: Cook for approximately 35 mins. If Frozen: Cook for approximately 40 mins.